Analytics are not a fad; they are proven to improve outcomes. Organizations can anticipate merging trends, detect drime, dial in to “stories” based on real facts. They can derive new insights, learn to ask new questions. Organizations, using big data, can be more confident in decision making. This value proposition is driving technology investment. 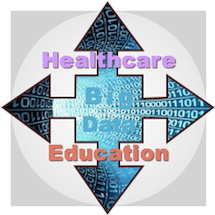 Big data & analytics are affecting all sectors, including healthcare, education and government. Organizations can reach out to customers, patients, citizens. There are more opportunities to target constitutents. You can track ROI, too [because it’s digital]. For example, the U.S. federal government agency tested how it could affect the eating habits of citizens (constituents). The government project team tested social media sharing of health information about recommended portions of fruits and vegetables with the test group. The parallel control group had no such information. The pilot shared health information via Facebook and Twitter on Monday and Tuesday and saw a high correlation between social media sharing and the information the team had shared—but it dropped off sharply later in the week. When they shared the same information on Wednesday and Thrusday, social media mentions similarly increased sharply. This result is very desirable because it showed that the agency was affecting the overall conversation. In general, you want a high correlation between the [client] interactions and overall conversation. Another big learning was the importance of filtering because there is a lot of “noise” online. The difference was remarkable; it was easier to see results when the team learned how to filter conversations. Keep in mind that it is much easier to start analytics today than in the past, when organizations had “I.T. reports” ad nauseum. We now have better [manipulation] tools and much better data visualization, which makes data far easier to understand and more actionable. Big data can add value even when the data isn’t perfect. Start with a hypothesis and use data to question it. Be open-minded and look for trends because you will probably find things you didn’t even think to ask about. Emerging markets adoption of social technologies is the same as developed markets. It is relatively easy to trace inputs, outputs and outcomes of social media interactions. In Africa, HIV conversations are critical, and communicating via mobile is a must (SMS, text). It changes consumer buying patterns. Data is the oil of the 21st century, and organizations need to build applications to use it. The UK government has an explicit transparency agenda. It is sharing many kinds of health and agency information, so people know what’s going on and how money is being spent. The government wants to increase accountability for its contracts and expenses. Officials believe they can increase the value of public services and contribute to a more vibrant democracy. This is possible by inviting and encouraging crowdsourcing, getting citizens involved by asking their responses to everything. My main example is an education initiative. Analysts estimate that £16 billion is wasted in productivity due to under-educated citizens. In response, the UK government gathered data on outcomes of Kindergarten-12 education (elementary and high school) as well as higher education (university). The data pertained to student school performance and “success” afterwards as measured by employment. The government increasingly contributes to the open data movement; it is okay with releasing “dirty data,” which is raw and not cleansed. Open data enables individuals and entrepreneurs to use public data to innovate. Data visualization tools enable parents to understand schools’ outcomes, so they can select appropriate schools for their children. Universities can use data in exciting ways; they analyze students’ social media sharing, patterns in checking out library materials, what courses they take [and outcomes they achieve]. This data helps them steer students to courses that are aligned with their goals. It helps with student retention. Big data enables interesting insights and correlations such as students that have high library fines tend to perform worse on tests. Universities also correlate performance data with socioeconomic and email data, so they can learn what student characteristics predict the best performance at their schools, and they use this to guide their recruitment. They are also starting to be able to predict which students will drop out before graduating, which helps them give additional support. Cost drivers [of education] are key in big data adoption in the UK, which has developed the most comprehensive database of pupils (schoolchildren) in the world. It traces 600,000 pupils’ performance from 3,000 elementary schools through career. It has ten years of data on pupils’ exams, tests, socioeconomic status, geography, transport, free meals, behavior issues and many others. It is a rich dataset from which the government can learn and improve schools. It can answer political questions. The government is also combining its data with health, crime and welfare datasets. It studies what students’ lives are like outside school, to try to develop a fuller picture of factors that affect performance. This can help challenge conventional thinking and guide policy. This initiative is teaching us many things. Socioeconomic status is not as important as we thought; school performance and responsiveness is very important. Schools can use data to change. For example, science, technology, engineering and math courses are far more important than we thought, even when students don’t intend to pursue STEM careers. Privacy is an issue with these databases, but the government believes that the advantages outweigh the pupils’ compromised privacy. Another traditional belief is that poor pupils do poorly and that schools need more money to increase performance. The data are showing that how the money is invested is more important than how much money is in the school’s budget. We are starting to be able to measure return on outcomes. Government officials and private sector executives are accustomed to focusing on large, complex problems, but these examples show that sometimes stubborn problems can be addressed in simple ways. The U.S. example meets healthcare cost by focusing on nutrition and prevention. Social technologies change the game because they are many to many, which amplifies conversations and impact. The UK example is more complex, but it effectively illustrates how internal and external data can be mashed up to address complex problems such as school performance. It’s an excellent example of big data.